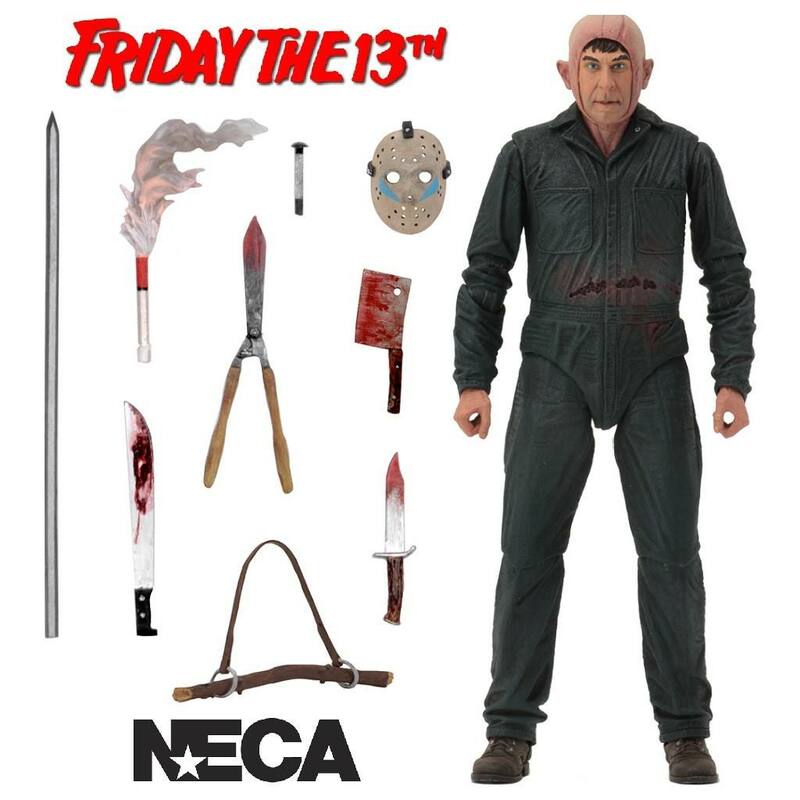 From Friday the 13th Part 5 A New Beginning, NECA introduces this Ultimate Roy Burns action figure. NECA introduces this new Friday The 13th Part 5 Ultimate Roy Burns deluxe action figure, the definitive collector’s version. In Friday the 13th: Part 5 A New Beginning, Roy Burns was a deranged imposter who impersonated Jason Voorhees and goes on a killing spree after his son Joey is murdered. Roy is a 7″ scale action figure with over 25 points of articulation and he comes with loads of accessories including a removable mask, which has blue chevrons that were unique to Part 5, plus there's also a cleaver, hunting knife, machete, garden shears, road flare, railroad spike, and much more. Come packed in a display-friendly deluxe window box with opening flap. The perfect collectible for fans of Friday The 13th.